This post originally appeared on the Buffer blog and is republished with permission. I’ve written how creativity works in the brain before, and I found it really useful to understand this process. Or, I should say, multiple processes. There’s so much going on in the brain during creativity that science is still trying to pin down exactly how it all works. The Attentional Control Network helps us with laser focus on a particular task. It’s the one that we activate when we need to concentrate on complicated problems or pay attention to a task like reading or listening to a talk. The Imagination Network as you might have guessed, is used for things like imagining future scenarios and remembering things that happened in the past. This network helps us to construct mental images when we’re engaged in these activities. The Attentional Flexibility Network has the important role of monitoring what’s going on around us, as well as inside our brains, and switching between the Imagination Network and Attentional Control for us. 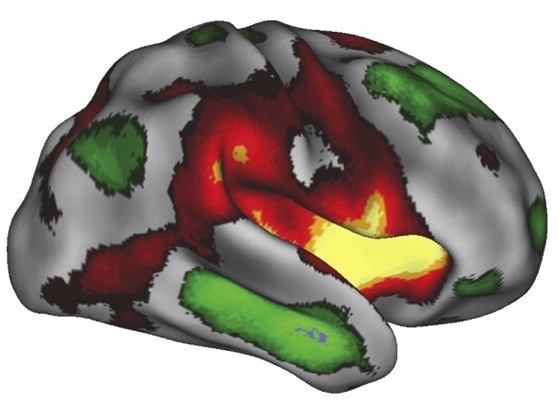 You can see the Attentional Control Network (in green) and the Imagination Network (in red) in the image below. Understanding how important connections are to creativity has also made a difference to how I try to generate new ideas. Once we have a lot of knowledge, we need to spend time making connections between it all—this is where creativity comes in. These tips are handy, but I’ve found that my environment makes a big difference to how productive I am, and how easily I can brainstorm new, creative ideas. It turns out, environmental factors like noise levels, temperature and lighting can make a big difference to how creative we are. Here’s what the research says about setting up your environment for optimal levels of creativity. As I found in my research on how music affects the brain, loud music is not necessarily the best option for creative work. Far from blasting music through out headphones, it turns out that a moderate noise level is the sweet spot for creativity. 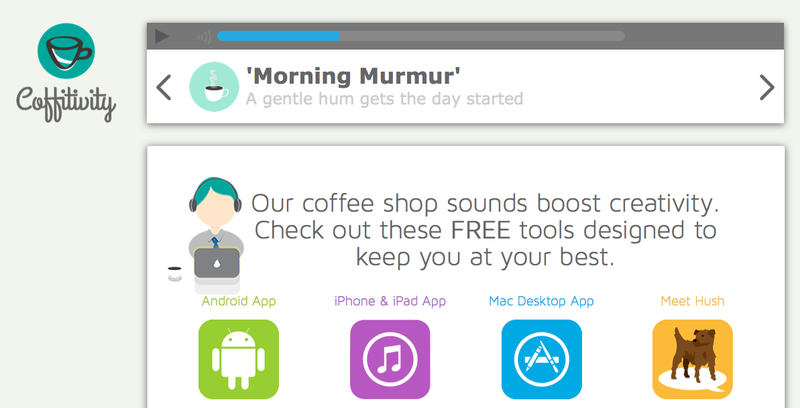 Ambient noise gets our creative juices flowing unlike silence, and doesn’t put us off the way high levels of noise do. Here’s how it works: moderate noise levels increase processing difficulty which promotes abstract processing, leading to higher creativity. Or, in other words, when we struggle just enough to process things as we normally would, we resort to more creative approaches. In high noise levels, our creative thinking is impaired because we’re overwhelmed and struggle to process information efficiently. I know I’ve felt this when it’s lunchtime in my co-working space, or my neighbors are renovating their apartment while I’m trying to work. A University of Chicago study found that ambient noise was the optimal level for creativity, whereas extreme quiet sharpens our focus, making it hard for us to think creatively. Another study about ambient noise showed that when it comes to being distracted by the conversations of others, phone calls where we can only hear one side of the conversation are the worst offenders. After a survey showed that up to 82 percent of people find overhearing cellphone conversations annoying, Veronica Galván, a cognitive psychologist at the University of San Diego, looked into why these are so distracting. In the study, participants completed puzzles while they overheard either one side of a mundane phone conversation or an entire conversation as it took place between two people in the room. Those who heard the one-sided phone conversation found it more distracting than those who heard both people speaking. They also remembered more of the conversation, showing that it had grabbed their attention. So if you’re heading to a co-working space, open office or coffee shop to get some work done, keep in mind that phone conversations will dampen your creativity. 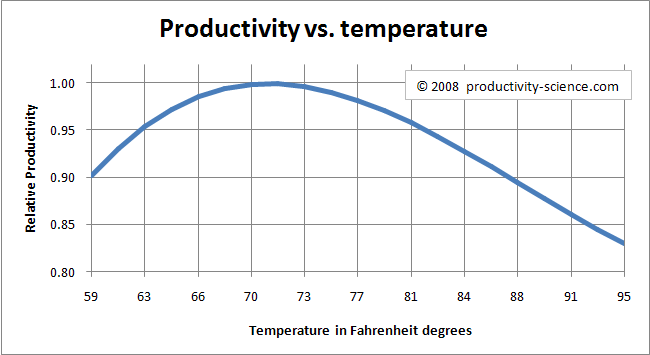 When temperatures were low (68 degrees or 20 degrees Celsius) employees made 44% more mistakes than at optimal room temperature (77 degrees or 25 degrees Celsius). The problem isn’t just being uncomfortable in cold temperatures, but rather that you are more distracted. If you are feeling cold, you are using a substantial amount of your energy to simply keep warm. Thus, a lot less energy goes towards concentration on creative work. An important point to remember when you’re optimizing for creativity is that the process of creative work goes through different stages. When I’m editing a blog post, for instance, I’m less worried about generating creative ideas than I am when I’m brainstorming topics or mapping out the structure of a post. So optimizing your environment could call for different situations depending on the phase of work—e.g. remember how I mentioned earlier than silence is best for concentration? Research published in the Journal of Environmental Psychology looked at the difference in creativity levels in brightly-lit and dimly-lit environments over six studies. So when you’re gearing up for a brainstorming session, try turning down the lights before you get started. One of my favorite talks about creativity is this one by John Cleese. I can’t think of many people more suited to speaking on this topic, and he doesn’t disappoint. One of the main points John makes is that your creativity is like a tortoise: It pokes its head out nervously to ensure the environment is safe before it fully emerges. Your creativity won’t show up when you’re nervous or stressed, busy or surrounded by hustle and bustle. It’s a very particular kind of thinking. You can’t become playful, and therefore creative, if you’re under your usual pressures. Removing yourself from your normal work environment—i.e. 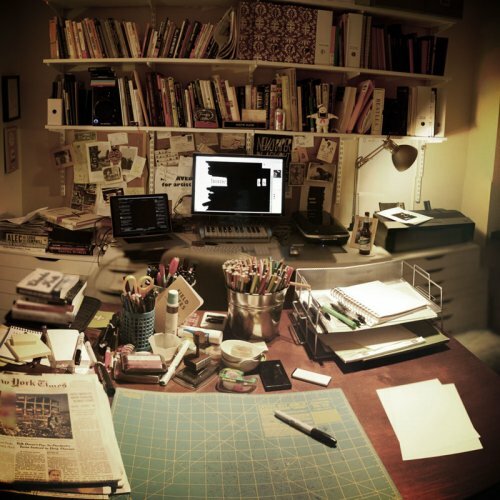 your “busy” space—to a free, creative space sends a signal to your brain. And if you do this consistently, your tortoise brain will learn to recognize the place as a safety zone for creative thinking. 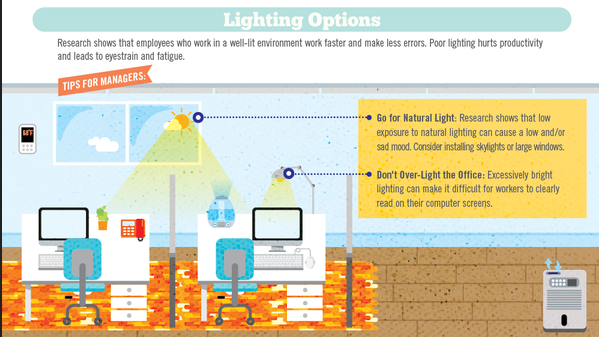 If you can, add the suggestions of optimal temperature, lighting and noise levels to your creative space, and do your “busy work” elsewhere. 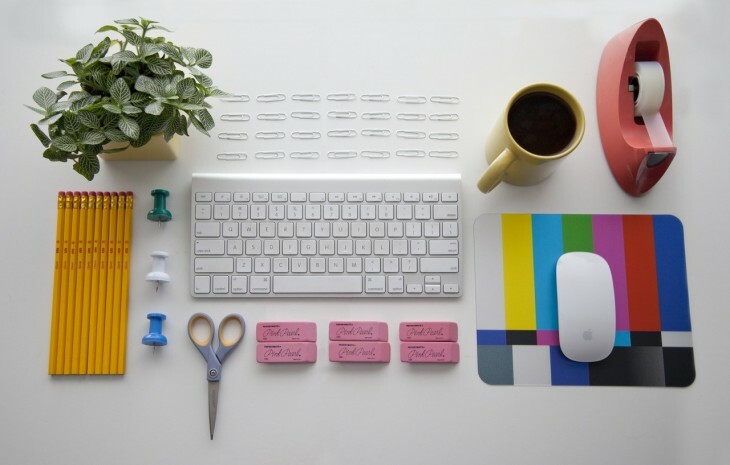 Research has shown that a messy space is more conducive to creativity than a tidy one, so separating your clean and tidy work desk and a messy creative space could be optimal for switching between the two modes of work. Have you tried any of these tips already, or do you have some of your own? Let us know your experience in the comments.